Brenna Paola is a junior at the university and the president of UM Pride Network, campuses undergraduate LGBTQ+ organization. 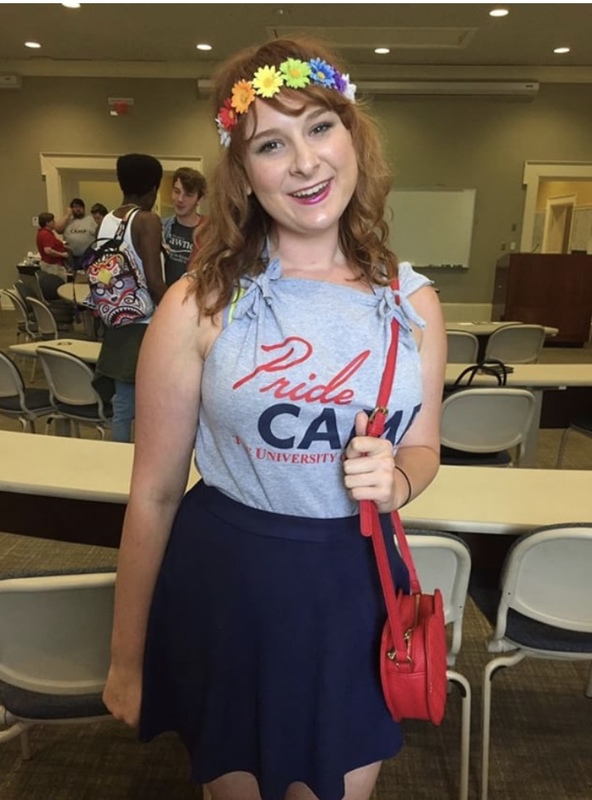 Brenna grew up in a rural unincorporated community in the Pine Belt called Ovett, MS. "Though few features of Ovett are memorable or admirable, Camp Sister Spirit, founded by Brenda and Wanda Henson, opened there for several years," Brenna says. "Though I never met them, their resilience inspired me as a queer Mississippian to believe activism has a place here, even in the most hopeless situations." Paola says she is appreciative of her family for supporting her academic endeavors, especially during her time at the Mississippi School for Mathematics and Science, a place that truly changed her perspective on herself and her home state. There, she says, she gained confidence in her leadership skills and her ability to overcome difficulties. When she first came to the University of Mississippi, Paola says she was fortunate to have empathetic, intelligent, and encouraging friends. Many were student leaders, who really inspired her to become an active student as well. "Without meeting the go-getters that I did, I have no idea how I would be where I am now." "The undergraduate student organizations UM Pride Network, FEMISS, QPOC, RASA, and College Democrats made this campus a space for students like me and the people I care about. UM Pride Network offered a space where I felt that I could be authentically myself as an entering student. The support of the 2016-2017 executive board helped me in my decision to be a leader. The group members push me to do my best in my current position, and I am so glad to have worked with the executive boards in both 2017-2018 and 2018-2019." Since she has been at the university, Paola has worked on the committee for planning Pride Camp twice. She says she finds it important to establish these networks and connections on campus as early in the academic year as possible. This semester, she is excited to be working with the council for an inclusive community to meet the needs of all students at the university.